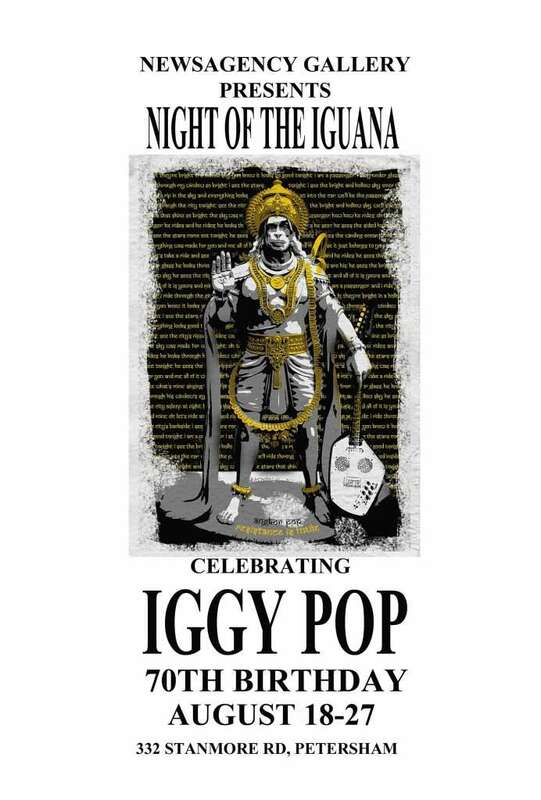 The Newsagency Gallery in Stanmore is hosting an Iggy Pop themed show celebrating the 70th birthday of the lizard man himself. I am lucky enough to have my Iggy Pop portrait included in the show. Opening night is Friday the 18th of August, and the show runs up until the 27th. Get along to opening night or pop in to the gallery to see some of the amazing works. Newsagency Gallery: 332 Stanmore Road, Petersham.